Fireworks aren’t the only thing that’s hot right now – the Macy’s July 4th Sale is only going on for one more day and you don’t want to miss this grand finale of savings. 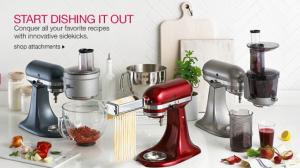 Imagine there was a certain KitchenAid attachment you’ve been wanting for your birthday (hint, mine if coming up this month! ), and it regularly costs $149.99, such as the Spiralizer Stand Mixer Attachment. Right now it’s only $99.99 PLUS you can take an additional 15% off that price, bringing it to just under $85. 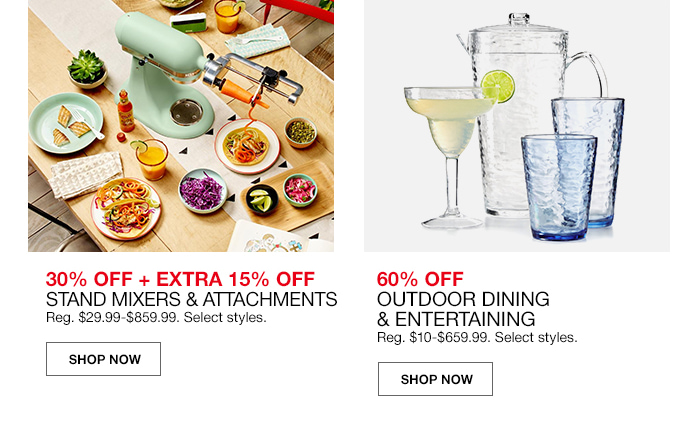 Remember, there are 3 Ways to Save during the July 4th Sale…but only for a limited time, so make sure your 4th of July plans include a trip to Macys.com before you head out!